We're quickly closing in on summer, and you know what that means -- plenty of sunshine and days spent outdoors! If you're one who loves to pack it up when the skies are clear, then you'll want to check out our latest roundup of the coolest tents and campers built for enjoying time in the wild. 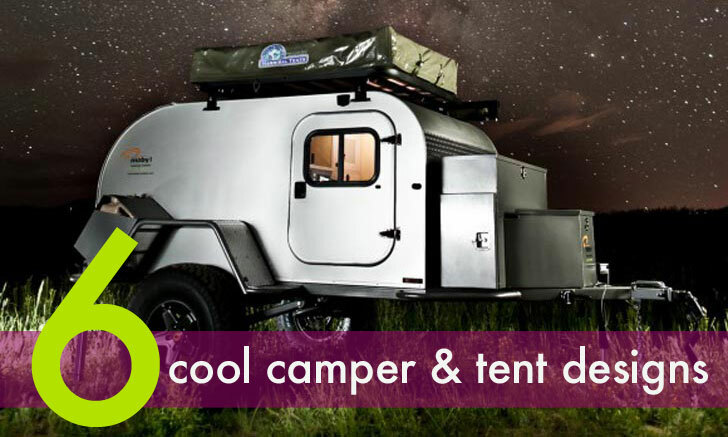 From a tensile tent that's hung high up in the trees to a multi-faceted trailer you tug along with your bicycle to a luxurious camper that comes complete with solar-water heater, check out our six favorite designs made for the outdoorsy adventurer. Moby1‘s XTR puts a modern spin on the classic pull-along teardrop trailer. While the look of this camper may be retro, this compact beauty actually comes packed with running water, solar panels, a rooftop tent and space for a mattress. Campers are told to tie their food high up on a tree branch to keep bears at bay. 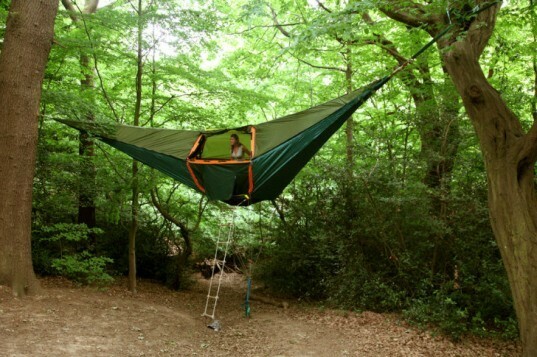 The Tentstile Tent takes a similar approach with a portable habitation that suspends you high off the ground. The tent can hold up to three people and is accessed via a rope ladder in the middle. If you’re one who likes to travel light, then it doesn’t get any more minimal than the JakPak jacket. 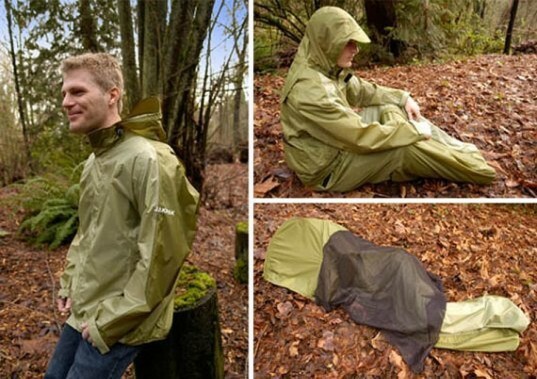 This sturdy jacket goes from a sleek looking windbreaker to a full body sleeping bag in just a snap. And to turn it into a tent? Simply pop the hood over your head and you’ve got yourself shelter. Bike trips are a great way to get out on the open road without increasing your carbon footprint. But wouldn’t it be great if you could bring along more than a backpack on your journey? Kamp-Rite’s Midget Bushtrekka is a cool new bike camper that lets you pack away goods into 41-gallons of storage space. 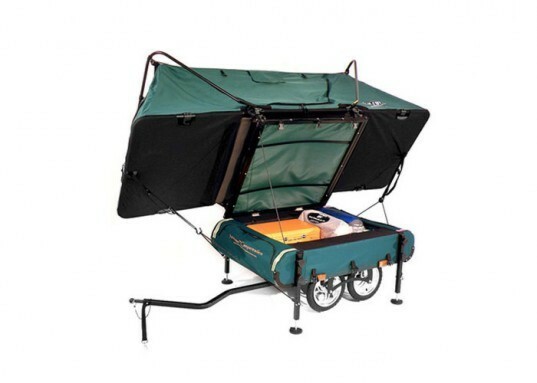 The trailer also transforms into a luxurious tent with a cot to keeps you off the ground when sleeping. 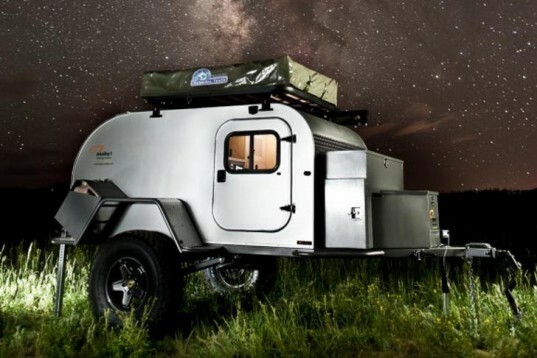 If you’re not into the idea of roughing it in the woods, the amazing Verdier Solar Powered Camper will add some luxurious eco-style to your outdoor jaunt. 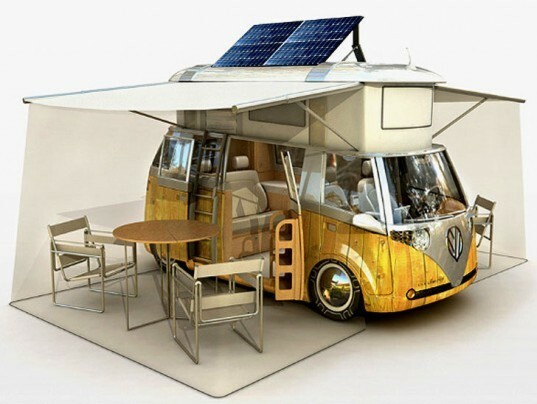 Verdier’s eco-RV is based upon a classic VW Westfalia and it has been upgraded with green elements, like a hybrid engine, solar panels and numerous other high-tech systems. 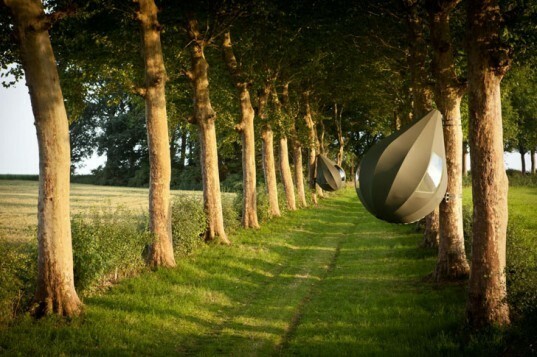 While these tents by Dré Wapenaar were originally designed for tree-sitting activists, they also make excellent escapes for campers, kids, and anyone who wants to spend some time softly swaying among the branches. Quite spacious (for a tent), each tear drop shaped inhabitation measure thirteen feet tall and 9 feet in diameter. The interior is outfitted with a roomy hardwood sleeping platform and a round mattress roomy enough for two adults and two children.